Master Shinyu Gushi was born on May 25, 1939 in Okinawa. When he reached high school age he joined his high school karate club and initially studied Shorin Ryu. Unsatisfied with his progress, at the age of 15, he started his Uechi Ryu training at the Oroku City dojo under the tutelage of Saburo Uehara. Saburo Uehara was one of Master Kanbun Uechi’s senior students. Uehara sensei taught Master Gushi Sanchin, Seisan and the Jiffa kata. 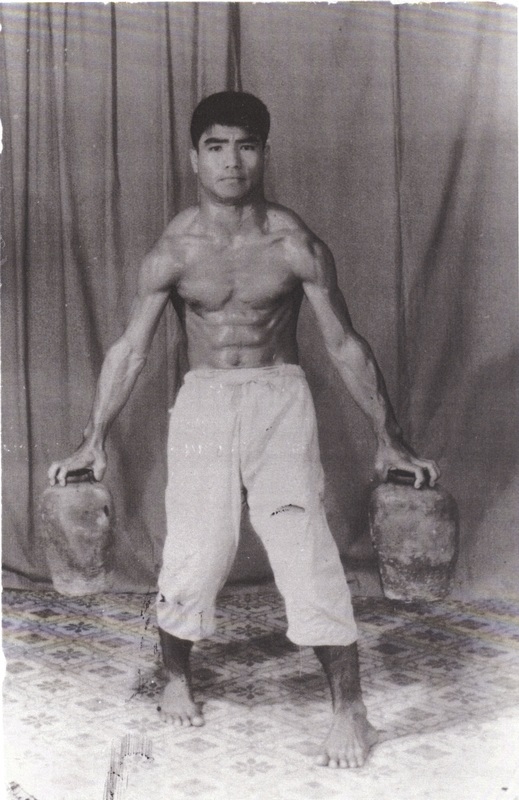 In 1956 Master Gushi began training with Seiyu Shinjo sensei at the Asato dojo. Similar to Uehara sensei, Shinjo sensei studied directly under Master Kanbun Uechi. Master Gushi learned Seisan, Seirui, Kanchin and Sanseiryu katas from Shinjo sensei. In 1960, Shinjo sensei moved to Kadena and Master Gushi joined Seiko Itokazu’s dojo in Wakasa. Seiko Itokazu was the head of Pangai-noon in Okinawa. Under Itokazu sensei, Master Gushi learned two kobudo katas: Matsugawa No Sai and Tsuken Akachu No Eku. Master Gushi also studied kobudo under Akamine Shoichi sensei who taught him Seijun No Bo. Master Kanei Uechi, the son of Kanbun Uechi was Master Gushi’s final teacher. In 1985 Master Gushi opened his own dojo in Oroku City. Tsukasa sensei, Master Gushi’s son, was 12 years old at that time and helped his father teach at the Oroku dojo. As a Senior Master of Uechi Ryu, Gushi sensei was invited to the United States to teach real traditional Okinawan karate and kobudo. Master Gushi and his family moved to the USA in 1988 and settled in California. Master Shinyu Gushi taught real, "old style" Uechi Ryu karate and traditional kobudo throughout the US and the world from 1988 to 2012.